Forty years ago, in 1977, Adelaide-based singer Sue Barker released what’s without doubt, one of the greatest soul-jazz albums in the history of Australian music. That album was Sue Barker, which was released on Marcus Herman’s label Crest International. The release of Sue Barker should’ve been the start of a long and glittering career. Sadly, that wasn’t the case, and nine years later, Sue Barker turned her back on music in 1986. Since then, her one and only album Sue Barker is regarded as an Australian soul-jazz classic, and will be released by Playback Records on the ‘4th’ of August 2017. The Sue Barker story began in Sydney, when she started singing along with Guy Mitchell songs when was just two. Little did her parents realise that this would be the start of a lifelong love affair with music. By the time she was in primary school, Sue Barker was a regular in the school choir. When she was nine, Sue Barker decided to join a local church choir so she could join their choir. However, by then, Sue Barker was already taking an interest in spiritual matters. In the local church, Sue Barker joined the choir and started taking trying to understand and explore the meaning of life. This was something that was a lifelong commitment and something that at time, would offer solace to Sue Barker in time of trouble. When Sue Barker completed primary school, her family decided to move back to Adelaide. When she returned to Adelaide, Sue Barker was initially at a loss. That was until her uncle found her a suitable church. Soon, she was playing an active role in and a church member. It was at that church, where Sue Barker’s potential was first discovered. A church member spotted Sue Barker’s potential, and offered to give her free singing lessons. Not long after this, Sue’s father sent his daughter to the prestigious Adelaide College Of Music for extra tuition. Attending Adelaide College Of Music was an eye-opener for Sue Barker, and she blossomed. She was introduced to classical music by her tutors in her early teens. By then, Sue had discovered The Beatles and other Liverpool based singers and bands. This lead to Sue looking for a band needing a singer. Each day, Sue Barker looked through the small adverts in the local papers, looking for a suitable band. One day, she found a band without a singer, and decided to audition for The Cumberlands. This lead to Sue’s first gig, where she joined The Cumberlands on-stage for one song. That song marked the start of Sue’s career. Already, she knew that she wanted to embark on a career as a singer. Not long after her first gig with The Cumberlands, she embarked upon a short tour of south Australian towns. This was good experience for Sue Barker. So was singing in a television talent contest, where she was the runner-up. Her appearance on the talent contest lead to further television appearances. All this was good experience for her future career. This included when Sue Barker joined her first band. By then, her parents had returned to Sydney, and seventeen year old Sue Barker had remained in Adelaide. That was where she heard a band rehearsing on a Sunday afternoon. Upon hearing the music, Sue decided to investigate. Having made her way up the stairs, Sue asked if she could sing with the band. They agreed, and before long, Sue and the guitarist began a relationship. Two days after her eighteenth birthday, Sue Barker and the guitarist were married. Within a year, Sue’s first child was born. She stayed at home whilst her husband played with the band. By the time Sue was twenty, she had moved to Sydney and was the mother of two children. Motherhood rather than music was what kept Sue busy. However, she missed music, and decided to return to Adelaide, so did Sue. Back in Adelaide, Sue, her husband and two children were living close to her parents. With a support network around her, Sue Barker and her husband started putting a band together. They were helped by a booking agent, who hit on the idea of making Sue the focus of the band. This didn’t go down well with her husband, who was in Sue’s shadow. However, this was just the start of Sue Barker’s comeback. Before long, Sue Barker was being asked to sing with some of Adelaide’s established bands. That was when Sue Barker started to take on a new stage persona, that she had modelled on Janis Joplin. She had it off pat, right down to some serious on-stage drinking. By then, Sue was rubbing shoulders with top musicians, and her star was in the ascendancy. There was even talk of international record deals. Sue Barker was one of Australia’s musical rising stars. Not long after this, Sue Barker met her future backing band, The Onions. By then, Sue Barker was constantly busy playing live, doing session work and even testing recording equipment at various local recording studios. That wasn’t all. Sue Barker also decided to hire an old ballroom, where she would put on her own gigs. She would charge $2 to get in, and patrons would watch local musicians jamming after they had finished in the studio. While the nights became extremely popular, but it became clear they weren’t going to make Sue rich. However, it was one of these gigs where Sue Barker was discovered. After one of the gigs, Sue Barker was approached her and asked if she had ever thought of recording an album? By then, there were a few recording of Sue and her band testing new equipment at the various local studios. However, they hadn’t recorded any singles, never mind an album. Sue gave the stranger who was from Melbourne, one of her recordings, and never expected to hear anything. She was wrong. One of the tapes ended up in the hands of Marcus Herman who ran the label Crest International. When he heard the recording he was impressed by Sue Barker’s feel, understanding and command of jazz, which was way beyond her years. Marcus Herman realised that Sue Barker was a special talent, and contacted her and asked if she would like to travel to Melbourne to discuss business. When Sue Barker set out on her journey to Melbourne, to discuss her future with Marcus Herman, she wasn’t alone. She took along her two children and one of her musician friends, Graham Conlon. When they arrived in Melbourne, Sue Barker went to the meeting with Marcus Herman. He offered Sue Barker a three album deal, and after some discussion, she put the pen to paper. Later, Sue, like many singers and musicians claims she was naive when she signed the contract. For Sue it was never about money, and was always about the music. She just wanted to release an album that featured her own music. Having signed a three album deal in March 1976, Sue Barker began work on her debut album. After signing the contact, Sue Barker discovered that the contract only covered her, and not her backing band The Onions. This must have been a disappointment for the band, but reluctantly, they agreed to play on Sue Barker’s eponymous debut album. The Onions weren’t on points, but instead, would be paid as session musicians when recording began. Before that, Sue Barker started choosing songs for her debut album. She eventually, settled on the songs that would feature on the album. Or so she hoped. The songs were sent to Marcus Herman, who had to give his final approval. It wasn’t easy for Sue to get her choice of songs approved, but eventually, the ten songs that became Sue Barker were approved. This included Eddie Holland, Brian Holland, Lamont Dozier’s How Sweet It Is, Gus Kahn and Nacio Herb Brown’s You Stepped Out Of A Dream, Duke Ellington and Sidney Keith Russell’s Do Nothing Till You Hear From Me, Curtis Mayfield’s Love To The People and Eddie Brigati and Felix Cavaliere’s Groovin’ featured on side one. Barrett Strong and Norman Whitfield’s I Heard It Through The Grapevine joined Eddie Floyd and Steve Cropper’s 6345789, Jimmy Davis, Jimmy Sherman and Roger Ramirez’s Lover Man, Al Cleveland, Marvin Gaye and Renaldo Benson’s What Goin’ On and Aretha Franklin and Ted White’s Think made-up side two of Sue Barker. It was recorded in Adelaide with The Onions. Before the recording sessions began, Graham Conlon arranged the songs that Sue Barker had chosen. Some were given a makeover, to ensure that they would suit Sue Barker, who discovered she had only three days to record the album. Marcus Herman was covering the costs of the recording sessions, and was only willing to pay for three days at Pepper Studios, in Adelaide. This was going to be cutting it tight, but Marcus Herman adamant that Sue should be able to record the album in just three days. Sue Barker entered the studio with The Onions in a cold day in July 1976. The Onions lineup featured a rhythm section of drummer Dean Birbeck, bassist Geoff Kluke, guitarist Graham Conlon and keyboardist Phil Cunneen. They were augmented by a horn section that featured trumpeter Fred Payne and saxophonists Bob Jeffrey and Sylvan Elhay. They accompanied Sue Barker as she laid down her eponymous debut album. Sue Barker opens with a soulful, horn led rendition of How Sweet It Is that sounds as if it was recorded in Memphis, not Adelaide. Then Sue Barker unleashes an impassioned vocal powerhouse, before delivering a beautiful jazz-tinged version You Stepped Out Of A Dream. This gives way to a late-night, smokey sounding take on the jazz classic Do Nothing Till You Hear From Me. Love To The People featured Sue at her most soulful, as she breaths life, meaning and emotion into the lyrics. Then Groovin’ is given a jazzy makeover, with subtle horns accompanying Sue’s dreamy, heartfelt vocal as she reinvents a pop classic which closed side one of the original album. I Heard It Through The Grapevine opened side two, and features a powerful, sassy and soulful vocal from Sue Barker. Equally sassy and sensual is 6354789, where Sue combines elements of soul and jazz as she reinvents the song and takes it in a new direction. The tempo drops on the piano led, soul-baring ballad Lover Man, as Sue delivers a beautiful, emotive reading of this of-covered song. Some songs are perfectly suited to a singer, and that is the case with What’s Goin’ On. Sue brings to life the powerful lyrics during this impassioned and poignant soul-jazz cover of a classic. Closing the album is Think, whiz is one of the album’s highlights. It features what can only be described as a vocal masterclass from Sue Barker, that closes this soul-jazz classic. Somehow, Sue Barker and The Onions managed to complete the album in the three days that Marcus Herman had paid for. This left just the album to mixed and mastered. However, before that, Sue was in for a surprise. Not longer after recording Sue Barker, Sue discovered that she was pregnant and expecting her third child. While Sue continued to play live, she knew that motherhood beckoned. Meanwhile, Sue was experiencing a spiritual awakening. This was partly inspired by the birth of her third child. Soon, after the birth, Sue Barker’s thoughts turned to spirituality. Meanwhile, Crest Records were preparing for the release of Sue Barker. The marketing manager, Donald Fraser, sent out press releases to the press, magazines, radio and television. He was determined that Sue Barker had every chance of being a success. It didn’t matter that the album would be Crest’s final release. He saw the potential in Sue Barker. So did Channel 9, who booked Sue Barker to appear on the Tonight Show. This was a huge break for Sue Barker, who unfortunately, she had to cancel the appearance. Despite that, Sue Barker’s concert at the Dallas Brook Hall in Melbourne was a sell-out. When the reviews were published, Sue Barker received praise and plaudits from critics and cultural commentators. The album Sue Barker, had also sold well at the concert at the Dallas Brook Hall. Things were looking good for Sue Barker. After the success of the Dallas Brook Hall concert, Crest began planning a promotional tour to coincide with the release of Sue Barker. However, Sue’s priority was her new daughter, which frustrated Marcus Herman at Crest Records. Their relationship became difficult, and Sue Barker prioritized motherhood over the release of her eponymous debut album on Crest International. While this was admirable, it would prove costly. When Sue Barker was released by Crest International, the album received praise, plaudits and critical acclaim. However, Sue Barker received little promotion, which was frustrating for everyone at Crest International who had worked hard on the release. They realised that Sue Barker was on the verge of a breakthrough, and have and if she had promoted the album it’s very likely that it would’ve sold well and introduced her to a much wider, and possibly, international audience. However, Sue Barker’s decision not to promote the album resulted in poor album sales. Very few copies of Sue Barker sold, and Sue Barker’s relationship with Marcus Herman at Crest Records broke down completely. As a result, Sue Barker never made any money from her future Australian soul-jazz classic. After the release of Sue Barker, eventually, the Adelaide-based singer returned to the local circuit. This time, Sue Barker wasn’t going to spend all her time playing live. While she continued to sing in local venues Sue didn’t mind if weeks or months passed without a gig. Sue who was a free spirit at heart, did things her way. Sometimes, when gigs dried up, promoted concerts. Sue Barker wasn’t the type of person to wait for opportunities to arise. Instead, she would go out and make things happen. As long as these promotions covered their costs, Sue was happy. It had never been about the music for Sue Barker. Not long after this, came the news that Crest International had folded. Sue Barker had still owed the label two albums when it folded. When Crest International folded, Sue Barker realised that gone was her chance of releasing any more albums. However, given how fraught relationship with Marcus Herman was latterly, the likelihood of Sue Barker releasing two more albums seemed unlikely. Now the dream of releasing any more albums was over. Following the demise of Crest International, Sue Barker spent a year teaching music at the Centre For Aboriginal Studies In Music. Her time spent teaching the Centre For Aboriginal Studies In Music resulted in Sue becoming interested in reggae. Her interest in reggae inspired a further spiritual awakening. However, as her spirituality began to blossom, Sue’s newfound faith was severely tested. Tragedy struck when Sue Barker was out walking down the street with her fifth child. A car mounted the pavement, and struck her daughter, who was so seriously injured that she spent three months in hospital. During that time, Sue started to ask herself some of life’s big questions. Her search for the meaning of life, would prove to an ongoing spiritual quest. Once her daughter had recovered, Sue Barker continued to pursue her interest in reggae music. She even decided to form a reggae band, which disappointed some of those who had followed Sue’s career as a jazz singer. Some of the musicians in Sue’s band were disappointed with this volte-face and left her employ. As a result, Sue Barker had to put together a new group of musicians. They would accompany Sue who had been booked to play at the Adelaide Jazz Club. When the patrons at the Adelaide Jazz Club heard about Sue’s Damascene conversion to reggae, they were unsure about this. However, Sue decided to continue down this new road. Sue Barker’s career continued until 1986, when sadly, tragedy struck again. Eight months after the birth of her fifth child, her eldest child died on a Thursday. Despite this tragedy, Sue decided to sing at a gig she had been booked to play two nights later on the Saturday evening. That night, Sue says that when she sang: “she felt closer to God than I had ever before.” As Sue watched the patrons party that night, she realised that this was the end of road for her. After a lifetime spent in and around the music industry, after the gig Sue Barker called time on her career. She suddenly felt that the entire music business was a “sham,” and didn’t want to be part of it anymore. When she had recorded her soul-jazz classic Sue Barker, she never received any payment. Ironically, The Onions who had originally been disappointed not to be included in the recording contract with Marcus Herman’s label Crest International, were paid as session musicians and made more out of Sue Barker than the star of the show did. It was no wonder that Sue Barker regarded the music industry as a sham. Nowadays, her one and only album Sue Barker, is regarded as a soul-jazz classic, and copies of the album are now extremely rare. When they do change hands, it’s for hundreds of Dollars. That comes as no surprise, given the quality of music on Sue Barker. It features one of music’s best kept secrets, Sue Barker, who if things had been different, would’ve gone to enjoy a long and successful career. Sadly, Lady Luck didn’t smile on Sue Barker and it was a case of what might have been. Sue Barker only released one album during a career that spanned three decades. Her career began in the late-sixties, and it wasn’t until 1977 that Sue Barker was released on Crest International. By then, Sue Barker looked destined for greatness. However, when Sue Barker was released, her third child had just been born. Sue was reluctant to leave the child to embark upon a promotion tour. Her failure to tour Sue Barker was a costly one, and the album was commercial failure. Whether Sue Barker ever regrets this decision is unknown? Marcus Herman who owned Crest International certainly regretted Sue’s failure to tour her album. It resulted in the breakdown in their business relationship, and not long after this, Crest International folded. That marked the end of Sue Barker’s recording career. She may have only recorded one album, but Sue Barker is a soul-jazz classic that definitely deserves to find a much wider audience. There’s every chance that might happen. One of Playback Records’ forthcoming releases is Sue Barker, which will be reissued on the ‘4th’ of August 2017 complete with a trio of previously unheard bonus tracks Zimbabwe, Half Moon and You Can’t Always Get What You Want. 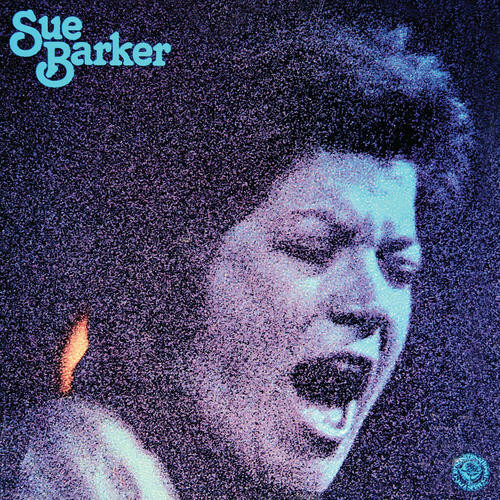 They’re welcome additions to Playback Records’ lovingly curated reissue of Sue Barker. It’s a long-lost soul-jazz classic that should’ve transformed the career of Australian songstress Sue Barker, who sadly, instead, remained one of music’s best kept secrets. ← REDBONE-ALREADY HERE, WOVOKA ANDD BEADED DREAMS THROUGH TURQUOISE EYES.